You've landed your dream job, but as you look through the stack of onboarding paperwork you notice a non compete agreement that looks like it could either keep you shackled to the job forever or out of work for many months while you wait out the non compete. Or perhaps you are looking to change jobs, or start your own business, and as you dig through your paperwork you remember that you signed a non compete agreement years ago. What do you do? The wrong move could cost you time out of your career, or court costs and attorneys fees if you get into a legal battle with your former employer. At slnlaw, we have helped hundreds of people navigate their non compete agreements under Massachusetts law. 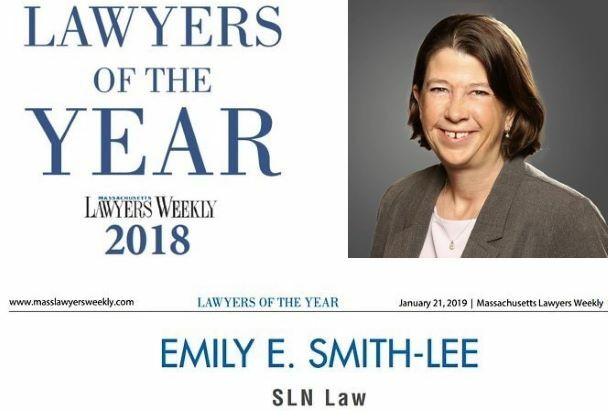 Our founding attorney Emily Smith-Lee has provided commentary on Massachusetts non compete agreements to the New York Times, as well as to Super Lawyers Magazine. We bring this expertise and experience to every matter, from advising about whether to sign a non compete, negotiating modifications or clarifications to non competes, and defending employees in court who are being limited by an employment agreement. When you are offered a new job and asked to sign a non compete agreement. When you are thinking about changing jobs or starting a new business. After you take a new job or start a new business, when you have received a cease and desist letter or other notice from your former employer that they think you are violating some post employment restrictions in your non compete. If you receive notice that your former employer has actually filed a lawsuit in the Massachusetts Superior Court or other court seeking damages or an injunction. You can read more on the page below about the basic rules in effect for non competes in Massachusetts, but here are the four most common situations where people come to us for help. Massachusetts law now requires employers to give you ten days to review a non compete, and to advise you that you can consult employment counsel prior to signing. The new law contains some important protections for you as the employee, and it is possible that what you are being asked to sign is not even valid under the law. There are ways you can lose some of the protections under the new law, however, and it is important that you understand your rights and obligations before you sign. For example, if you breach a fiduciary duty to your employer, or take property of your employer, you may lose your protection. Learn more about our same day turnaround non compete review, and how we can help you make an informed decision about the agreement you have been offered by reviewing with counsel prior to signing. The last thing you want is to give notice at your old job, accept an offer of employment, and then learn that your former employer is seeking to stop you from starting the new position based on a noncompetition agreement. Before accepting a new job and giving your notice, you should have a non compete lawyer review your agreement, assess your risk, and help you understand your options. This includes understanding exactly what your post employment restrictions are, how long the restricted period lasts, and whether you have any basis to get out of the restrictive covenant. Contact us to learn more about our proactive non compete review services and how we can help you make a smooth transition to your next step without litigation. If you have already taken a new job, and received a long and unfriendly letter from your former employer's attorneys (known as a cease and desist letter), don't panic. Learn how we can help you respond to the cease and desist demand letter. Remember the letter is not a lawsuit, but most times it is to your advantage to respond with the help of counsel, and many times a careful and considered response can stop the dispute before it turns into a lawsuit. Sometimes it happens. It can feel terrifying, but know that we have been there before, and know what to do to help you make the best of a bad situation. We have defended many non compete actions in Superior Court. We know all of the defenses to non compete lawsuits, and what questions to ask to make sure we can put your very best foot forward, and our lawyers and staff will be right by your side through the whole process. ​ Learn more about our non compete lawsuit defense practice. In Massachusetts, enforcement of non compete agreements depends whether they are reasonable in time and the geographic areas they apply to, and whether they protect a legitimate business interest of the employer. It is important to remember that “reasonableness” depends upon the circumstances, and there is no bright line rule about how long a non compete can last, or the geographic areas it can restrict, because both of those questions depend on whether the time or scope of the non compete is reasonable in light of the interest the employer is seeking to protect. So, for example, our lawyers have seem nationwide non competes enforced where the employee had a nationwide sales territory, but a 25 mile non compete unenforceable for a hair stylist, whose range of influence while employed was much smaller than that. The fact that this can be unpredictable makes it very important for you to consult a lawyer if you are in doubt. A non compete cannot stop you from taking a job just because your former employer does not want you working for a competitor. You can only be blocked if enforcing the agreement is necessary to protect either your former employer's trade secrets and confidential information or its good will. "Good will" generally means the reputation and relationships you have built with customers or clients under the employer's name. If you get a "cease and desist" letter (usually a very stern letter from your employer's attorney demanding that you stop pursuing your job opportunity) do not panic, but do consult with a lawyer, because they may not be entitled to stop you. If you are served with a lawsuit seeking to enforce a non compete, you should also immediately consult an attorney. In 2018, the Massachusetts Legislature passed a statute limiting the enforcement of non-compete agreements. The new law, which took effect on October 1, 2018, states that your employer must give you ten days to review and consider the agreement before signing, and advise you to consult with an attorney. If you are terminated without cause or laid off, you cannot be held to your non compete. If an employee resides and works in Massachusetts, the new state laws of Massachusetts will apply, even if your agreement says otherwise. These provisions only apply to a restrictive covenant signed in connection with employment, not to a non compete related to the sale of a business. These changes, though meant to clarify Massachusetts non compete law, create their own uncertainties. For example, what does it mean to be terminated without cause or laid off under the statute? Are you an employee who is exempt from overtime? What are the things that you might do (or your employer might accuse you of doing) that could put the "garden leave" payments in jeopardy? What does it mean to breach a fiduciary duty to your employer that would relieve them of the obligation to make garden leave payments? Can mutually agreed upon compensation as a garden leave provision be less than 50% of your salary? How does the new law affect other restrictive covenants, like agreements not to solicit customers or employees? We can help you answer these questions with our same day non compete review service. Lack of Consideration: "Consideration" is the legal term for the exchange of value in a contract. If I offer to buy your car for $5,000, my payment of $5,000 is our mutually agreed upon consideration for your agreement to transfer the car and title to me. Non compete agreements must also be supported by “consideration.” When it comes to non compete agreements, the law requires that your employer give you something of value as consideration for your agreement not to compete. Generally, under both preexisting law and the new Massachusetts Non Compete Law, if you are signing an agreement as a condition of accepting a new job, the new job will serve as consideration for the agreement. Under the new law, however (and arguably under preexisting law, though there was some ambiguity), continuation of employment by itself is not sufficient consideration for a noncompetition agreement. This means that if you are already employed and asked to sign a non compete, your employer must provide fair and reasonable compensation for that agreement. This could be a bonus, a raise, perhaps a promotion, but there needs to be something in addition to continuation of employment and it needs to be reasonable compared to the non compete restrictions the employer is asking for. If your employer is trying to enforce a non compete that you signed after you started your job, and you received no additional benefit for signing, you may have a defense to enforcement of the agreement. ​Changes to Your Job After Signing: Enforcement of non compete agreements can be affected by things that happen after you sign the agreement. For example, our we have handled cases where a material change in job responsibilities or compensation was found to nullify an existing non compete agreement. Whether this defense applies to your situation is very fact specific, and depends in part on how substantial the change was, and whether it also changed the nature of what the employer is seeking to protect. The more years of employment you had with your employer, the higher the likelihood that a material change has occurred since you signed the agreement. Non Payment of Wages or Commissions: With any contract, if one party to the contract materially breaches the agreement, the other party may be excused from doing what he or she agreed to do in return. In the context of non compete agreements, we have also handled cases where the employer's breach of a material term of the employment agreement (such as nonpayment of wages or commissions) excused the employee from honoring the non compete agreement.​ This comes up most often in the context of commissioned salespeople. People in sales are often restricted by non competes because of their contact with customers and the employer's interest in protecting that good will, and people who rely on commissions as a significant part of their compensation frequently have disputes with their employers about whether they were properly paid their commissions, especially at the end of the employment relationship.